Here’s an unusual carved image that’s located just a few miles from where I live. Although I read about it some time ago, I only got round to stopping and having a look at it last week. 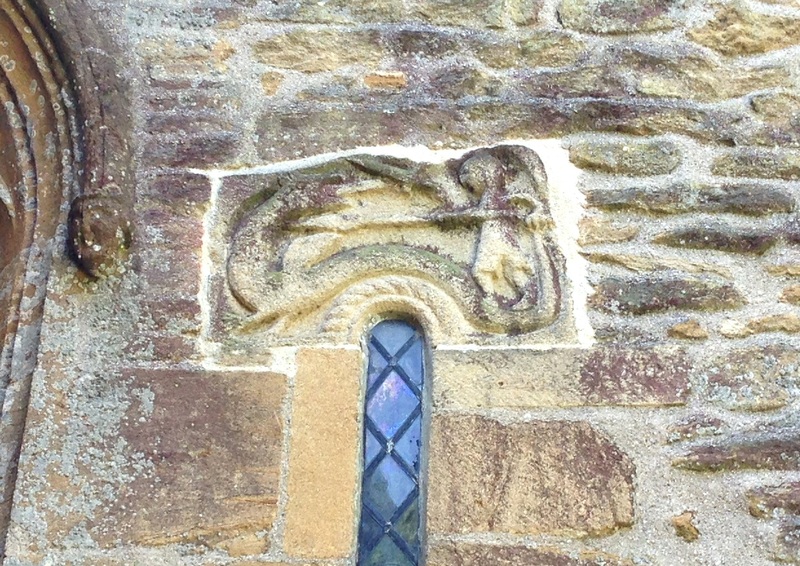 It depicts a man battling a dragon, and it can be seen on the church of St Mary the Virgin at Stoke-sub-Hamdon. The oldest parts of the church were built during the Norman period around the year 1100, and that’s probably when this carving was produced. Apart from the fact that a man fighting a dragon is an unusual thing to see on a church, there are a couple of striking things about the carving. 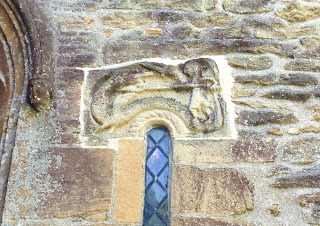 The first is the clever way the arched back of the dragon fits neatly over the arch of the window (which is extremely narrow, even for the Norman period). The other is the cartoony style of the image, which is vaguely reminiscent of the Bayeux tapestry... which of course dates from around the same time. The carving is on the exterior north wall of the church, which is a place where you often find pagan imagery on mediaeval churches (the north side was considered the “dark side” in those days). Although dragons were common in pagan folklore, this one may represent a Christianized legend. 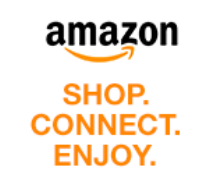 Having just done a bit of research, I’ve seen it confidently identified as “Saint Michael and the dragon” and as “Saint George and the dragon”. But Saint George is normally depicted on horseback, so personally I’d favour the first of these. There’s a hill about a mile from the church called St Michael’s Hill, which may or may not be significant. Of course, after this lapse of time no-one can really know what legend the artist meant to depict. In a comment to my post last year about A Fortean History of Somerset, Richard Freeman mentioned that “the county also has more dragon legends than any other in the UK with a total of 11”. So who knows what the image would have meant to the 12th century inhabitants of Stoke-sub-Hamdon? An almost universal characteristic among the dragons of European legend is that they’re bad. The majority are depicted as monsters that are just waiting to be slain by a hero (such as Saint George), while Saint Michael’s dragon was Satan himself, who was consigned to Hell. That’s a complete contrast to the dragons of Eastern tradition, which are seen as benevolent and auspicious. But there’s at least one benevolent and auspicious dragon on this side of the world, too – the Welsh dragon. By coincidence, I saw a Welsh dragon here in England just a day after I took the photo at Stoke-sub-Hamdon. This was at a National Trust property called Bradley Manor, which is near Newton Abbot in Devon. The Great Hall there is decorated with a huge (and now partly obliterated) royal coat of arms dating from the Tudor period. This bears the familiar motto “Honi soit qui mal y pense”, but instead of the lion and unicorn it has a lion and... a dragon! 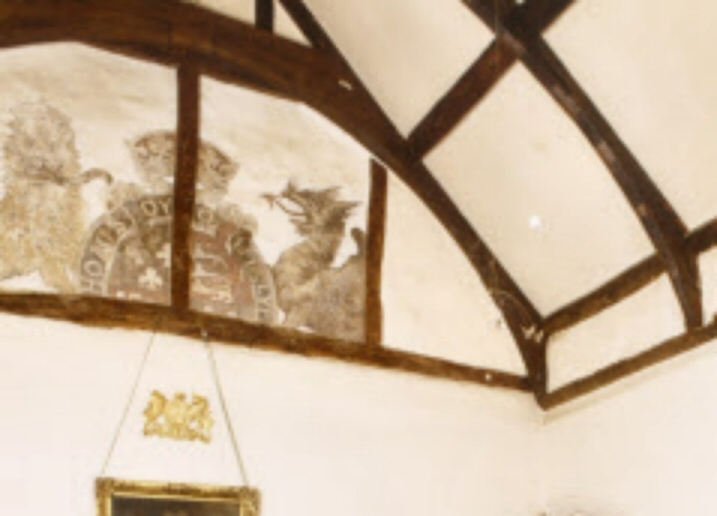 (photography wasn’t permitted inside the house, so the picture here is a detail from the National Trust’s own image). The unicorn is a symbol of Scotland, and was introduced by the Stuart monarchs who were also kings of Scotland. However, the Tudors who preceded them were a Welsh family, and so they used the dragon instead. The lion, of course, is a symbol of England. There may or may not be any significance to the fact that lions are real creatures whereas dragons and unicorns are the stuff of folklore!